Simplify your Business Networks with Citrix SD-WAN! – CT Link Systems, Inc.
Simplify your Business Networks with Citrix SD-WAN! You may have heard by now of the new technology that’s been getting a lot of buzz over the past years, software-defined WAN or SD-WAN. This exciting technology enables organizations to reduce network complexity and cost while improving flexibility, security, availability, and visibility. Citrix has made use of this technology and improved on the concept into what is now known as Citrix SD-WAN. Citrix SD-WAN builds reliable WAN from different network links such as MPLS, broadband, 4G LTE, Satellite, etc. It also is able to constantly monitor the condition of every link with its unique per-packet selection algorithm which also makes use of instant path selection decisions as each packet comes into the SD-WAN for transmission. In turn, results in having the best path chosen at each given moment. When users or the applications they use request for more bandwidth, Citrix SD-WAN can distribute the traffic using all available links which creates a secure virtual path through the aggregation of all of the individual links, so no link stays passive. When your network has issues with bandwidth usage, the improvement of performance that users will see is not only felt through more bandwidth, but through the enablement of QoS control over link types that don’t usually provide QoS such as the internet. Centralized management and configuration of all devices. leveraging the use of templates for WAN, QoS and Firewall configurations. No more logging into each branch router to add a QoS rule or access-list for a new application – you just add to a global template and it’s automatically updated on all branches. Zero Touch Deployment (ZTD). It makes a huge difference in large scale deployments. The branch appliances can automatically connect to the Citrix ZTD service in the cloud and download the required configuration, licenses, and software updates. No need to login to the appliance, just plug the cables. All controlled from the central management and secured by built-in authentication. Improved visibility. Since all traffic passes through SD-WAN, it can give you a much deeper understanding of what is going on in the network, up to the application-level with its built-in DPI (Deep Packet Inspection) capabilities. Not only will you get visibility into the most used applications, it can also provide application-level QoE (Quality of Experience) measurements. 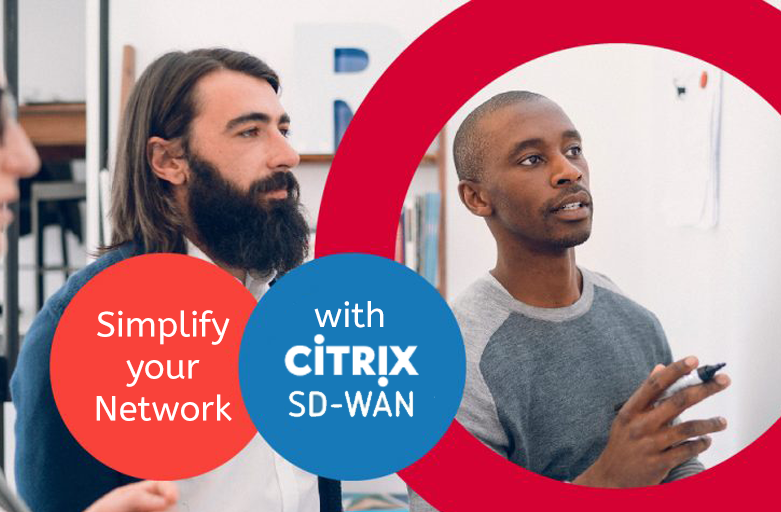 To learn more about Citrix SD-WAN, you can check out our Citrix Product page here or contact us directly at 893-9515 and we will be happy to answer your inquiries!